Permanent double-sided tape, good cohesion and UV resistance. Guarantees excellent traction resistance due to high density foam (200Kg/m3). Alternative to mechanical fixing (screws, rivets). Ideal for bonding where low thickness is required (0.5 mm). [Version with white foam and white paper liner]. 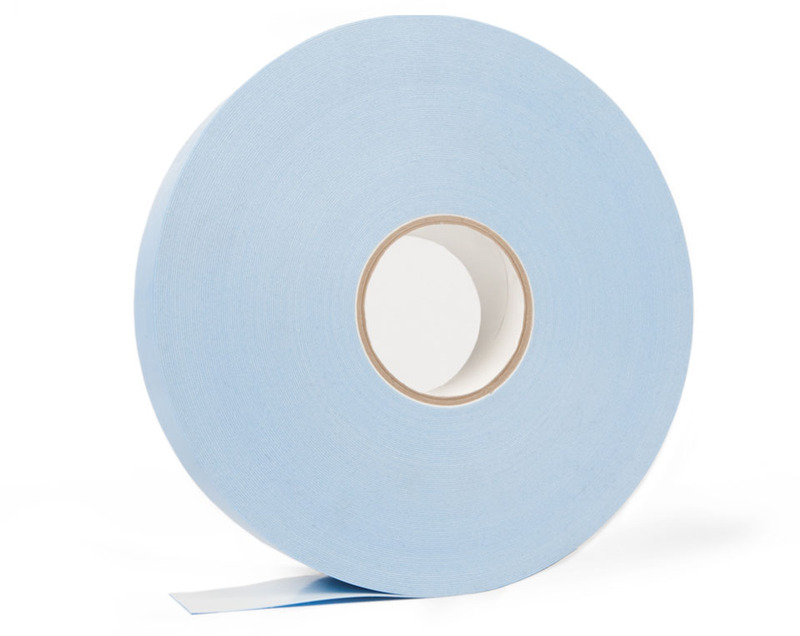 Permanent double-sided tape, good cohesion. Thanks to the rubber solvent base, it bonds perfectly to critical surfaces such as polypropylene (PPL) and polyethylene (PE). Thanks to the extra thickness (2 mm), it guarantees excellent bonding where there is a significant gap between the two surfaces being bonded together. Permanent double-sided tape, good cohesion and UV resistance. Thanks to the 3 mm thickness, it can compensate for the tension between materials that are not perfectly parallel. Suitable for application indoors and outdoors. Permanent double-sided tape, good cohesion and UV resistance. Guarantees excellent traction resistance due to high density foam (200Kg/m3). Alternative to mechanical fixing (screws, rivets). Ideal for bonding where low thickness is required (0.5 mm). [Version with yellow filmic liner]. Permanent double-sided tape, good cohesion. Good resistance to UV and temperature, thanks to solvent acrylic adhesive. Suitable for fixing both indoors and outdoors. Permanent double-sided tape, good cohesion and UV resistance. Quick and easy liner removal. Suitable for application indoors and outdoors. Permanent double-sided tape, good cohesion and UV resistance. Quick and easy PCK liner removal in blue for rapid identification of where it has already been removed (particularly suitable for production of mirrors). Suitable for application indoors and outdoors.